From Hollywood’s camera lenses, to the lenses used by Google Earth in space and the trusted brands of Sony and Nokia, ZEISS has been well-regarded as the pioneer in several fields of optics. For over 160 years, the ZEISS brand stands for the highest quality, precision and innovation. ZEISS aspire to unite these through product and service and live up to the slogan: “We make it visible.” As a result, ZEISS has established itself as a true global leader in the optical industry. Today, over 200 million people around the world trust their vision to ZEISS Precision Lenses. ZEISS believe that every eye is just as unique as a human fingerprint and not all spectacle lenses are the same. It is why Vision Optics are proud to be providing unsurpassed quality spectacle lenses by ZEISS. 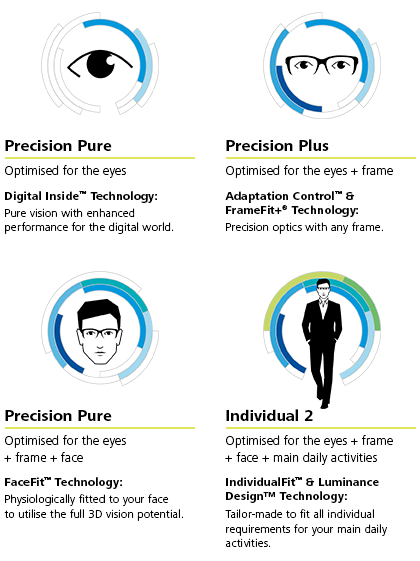 Our lenses are scientifically designed and individually customised for each wearer, delivering the best possible vision for you. Contact us to get your ZEISS Precision Lenses today!